Our experience, relationships and knowledge gained within the strategic road network allows Rennicks to support clients and contractors alike with a wide ranging offering. This ranges from the provision of fully compliant and tested retro reflective sheeting for the manufacture of temporary traffic signs, permanent traffic signs and vehicle conspicuity. We compliment this with the provision of intelligent transport systems and solutions such as our mobile VMS and virtual journey time technology. A lot of our technological developments have been driven by working closely with the Highways engineers within Highways England, Transport Scotland, Welsh government and their nominated maintenance contractors like Amey, A One+, Kier to name a few. We understand the challenges they face on their road networks and work closely with the engineers to bring innovation to the marketplace. At Rennicks our aim is to not only improve the road network experience but also to reduce the level of risk these engineers take when deploying equipment on our high speed roads. 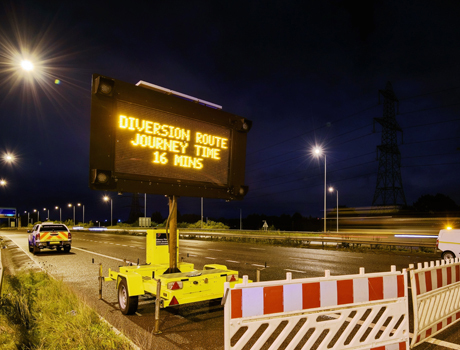 Our permanent and temporary reflective sheeting, designed specifically for road traffic signs, is a fully compliant, premium, high visibility product – perfect for use on motorways and high speed roads. 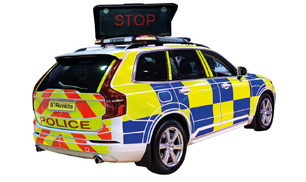 The Nikkalite range of retro reflective sheetings have been specifically designed to achieve optimum reflectivity, offering early recognition and visibility for all road users. Nikkalite® Dewtect dew resistant signs are perfect for use on strategic road networks where dew formation is prevalent – self-cleaning properties reduce the need for expensive on-site maintenance, removing the need for traffic management and risk to road worker safety. Our latest innovation – the Rennicks Virtual Journey Time System (RVJTS) – is a first of it’s kind solution to the issue of journey time, presenting operators and drivers with clear and accurate information about their journey in a timely manner. By eliminating the need for hardware deployment, costs are saved, delays in procurement are reduced and there is no risk to road worker safety. Watch our video to hear how the Rennicks Virtual Journey Time System supported Manchester Smart Motorways whilst Manchester’s M60 and M62 motorways underwent some extensive changes as they were upgraded to ‘smart motorways’.